“Harry Potter” spinoff movie “Fantastic Beasts and Where to Find Them” earned $29.7 million on Friday, and is now on track to end its debut weekend with more than $76 million. Previous predictions for the movie were wide-ranging, as some trackers were saying the “Potter” prequel would debut north of $80 million. Others pegged its three-day opening at more than $90 million. Warner Bros. was expecting it would safely land above $70 million. The numbers are in favor of the film — which was produced for a reported $180 million — especially considering its international opening is expected to bring in more than $100 million across 80 markets. “Fantastic Beasts” opens in China next weekend, where “Harry Potter” movies have always performed strongly. It’s playing on 4,144 screens domestically, with a 76 percent on Rotten Tomatoes. It has a spectacular A CinemaScore, graded by those who saw it on opening night. The film is casting a big shadow over the weekend’s other new wide releases. Following up its hit comedy “Bad Moms,” STX’s coming-of-age dramedy “The Edge of Seventeen” earned $1.7 million on Friday and is now expected to come in under $6 million, down from previous estimates of $10 million. That’s still a solid number for the warmly-reviewed film, which was made for $9 million and stars Hailee Steinfeld as a curmudgeonly high schooler with a sharp wit. Marking the directorial debut of Kelly Fremon Craig, the film has critics comparing it to John Hughes classics “The Breakfast Club” and “Sixteen Candles.” It net a 95 percent rating on Rotten Tomatoes and an A- CinemaScore. “The Edge of Seventeen” also stars Woody Harrelson and Kyra Sedgwick, and is playing on 1,945 screens. Open Road’s boxing drama “Bleed for This” is coming in much lower than initial estimates of $6 million. Playing on 1,549 screens, its ticket sales look to be closer to $3 million, if that. It stars Miles Teller and Aaron Eckhart, and has a 63 percent on Rotten Tomatoes and an A- CinemaScore. Tri-Star drama “Billy Lynn’s Long Halftime Walk,” distributed by Sony, expanded into 1,176 theaters this weekend following a mostly sold-out limited Los Angeles and New York opening. Ang Lee’s high-tech film, shot at 120 frames per second, hasn’t gotten great reviews and currently sits at 41 percent on Rotten Tomatoes. It’s now expected to gross less than $2 million. However, it’s not all bad news for the film, as it made $11.8 million in China last weekend. Returning to “Fantastic Beasts,” given its new story and timeline within J.K. Rowling’s wizarding world, the title has been something of a box office question mark — especially in predicting how it will stack up against the “Harry Potter” movies. 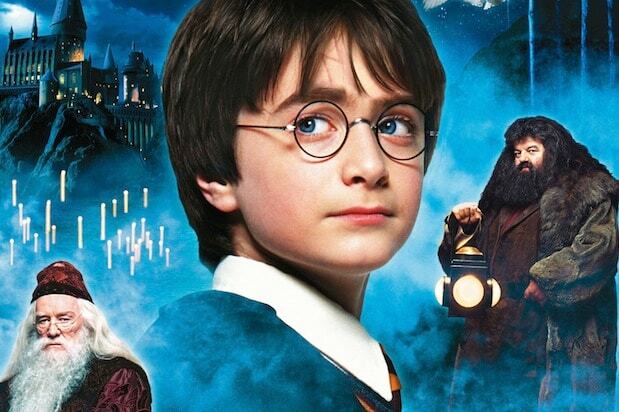 “Harry Potter and the Order of the Phoenix” opened to $77.1 million in 2007 and “Harry Potter and the Half-Blood Prince” bowed to $77.8 million in 2009. “Fantastic Beasts,” directed by David Yates, will expand from a three-movie franchise to five, author and screenwriter Rowling announced last month. 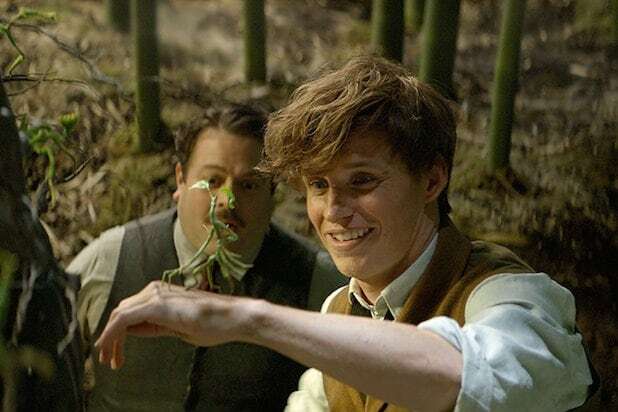 Set in the same universe as “Harry Potter,” the inaugural “Fantastic Beasts” movie takes place in 1920s New York and stars Eddie Redmayne as a British “magizoologist” named Newt Scamander who travels across the pond to hunt for magical creatures. Some characters from the “Harry Potter” films are featured in the new movie, including Albus Dumbledore, Grendel and Gellert Grindelwald. Newt arrives in New York, as Percival Graves (Colin Farrell) investigates a collapsed building destroyed by a magical creature. The film opens with several newspaper headlines about Grindelwald attacking wizards. Farrell and Redmayne are joined onscreen by Katherine Waterston, Jon Voight, Ezra Miller, Zoe Kravitz, Samantha Morton, Dan Fogler and Alison Sudol. Yates directed the last four “Harry Potter” films. The already green-lit second film in the “Fantastic Beasts” series will be set in another major world city with different magical creatures. “Fantastic Beasts and Where to Find Them” is based on the Rowling book of the same name, which was a mock textbook about magical creatures. In the “Harry Potter” series, the book is required reading for Hogwarts students.